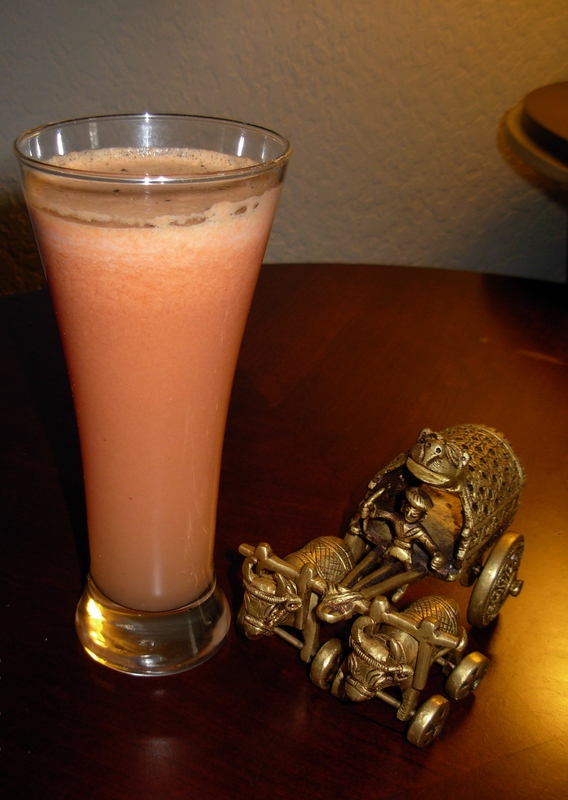 Super healthy, digestive, non-carbonated drink. Not only looks great but tastes good too! An easy way to consume your daily serving of fresh fruits and vegetables altogether. Tomatoes: Tomatoes are now eaten freely throughout the world, and their consumption is believed to benefit the heart among other things. They contain lycopene, one of the most powerful natural antioxidants. Tomato consumption has been associated with decreased risk of breast cancer, head and neck cancers and might be strongly protective against neurodegenerative diseases. Apples: This food is very low in Saturated Fat, Cholesterol and Sodium. It is also a good source of Dietary Fiber and Vitamin C.
Ginger: A variety of uses are suggested for ginger. Tea brewed from ginger is a folk remedy for colds. Three to four leaves of Tulsi taken along with a piece of ginger on an empty stomach is considered an effective cure for congestion, cough and cold. Ginger has been found effective in multiple studies for treating nausea caused by seasickness, morning sickness and chemotherapy. 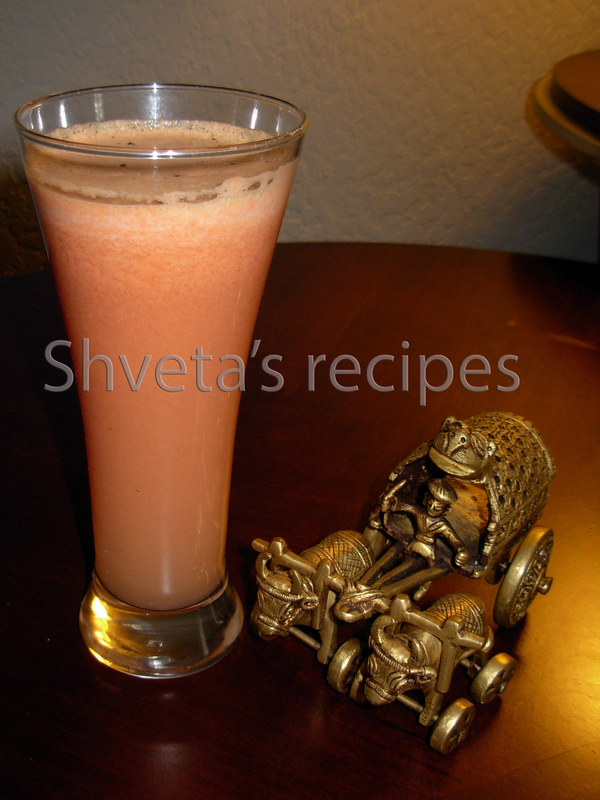 In the Juicer, extract fresh juice of apple and tomatoes with fresh ginger root. Mix freshly squeezed juice with ice, rock salt and sugar in the cocktail shaker and shake well. Serve chilled. Garnish with freshly ground black pepper and fresh mint leaves. Enjoy. Lovely recipe..Will try it for sure..